Molise is a small region, little known, which offers very nice surprises: a sea among the cleanest in the Adriatic, the great sandy beaches, green pine forests and some parts with delicate and precious dunes. The Molise coast is ideal for your holidays in Italy! If you like mountains, while traveling in Italy, Molise offers natural tourist destinations with great Campitello Matese and Monte Miletto ( just over 2000 meters), a series of plateaus and forests. 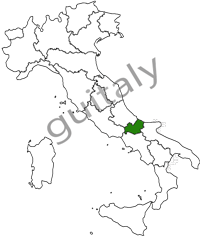 The Molise region also has a rich traditional gastronomy and rich archaeological sites.